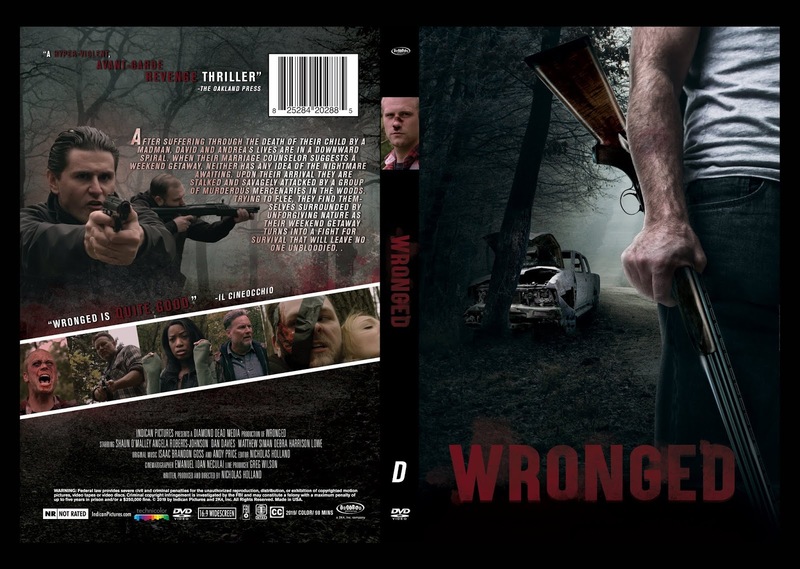 Indican pictures have announced that they have picked up writer/director Nicholas Holland's WRONGED for a a 10 theatre run this February. WRONGED is a horror thriller. Very much in the vein of Wolf Creek with a little The River Wild and elements of Deliverance, Hatchet and Wrong Turn. Like many horror films a family go camping in the wrong part of town but unlike traditional horror films the lead turns the tables and exacts revenge on the locals. The film stars Dan Davies, Grover McCants, Wayne E. Brown, Shaun O’Malley, Debra Harrison-Lowe, Matthew Siman and Angela Roberts-Johnson. survival with a very surprising result.